“You’re overdoing the border drama”. That was the message sent to a reporter who was featured on Fox News’ “Hannity” this week by social media critics (read: people who are too big of cowards to actually face real danger). Some reporters claimed they had “worked the border beat” and never had to wear a bulletproof vest. Others said the vest was too small. Then were were plenty who claimed it was all about “optics”, which Jones denied. Kirstjen Nielsen is the Department of Homeland Security Secretary, who also discussed how smugglers are using children to secure asylum for some. Nielsen said they are “recycling” the same child for various “fake families” that cannot be forced back into Mexico. Jones believes there’s a lot of misinformation out there. He said he believes that the public is badly misinformed about the dangers at the border, and he also pointed out the extreme risks that the U.S. Customs and Border Protection (CBP) agents face on a daily basis. 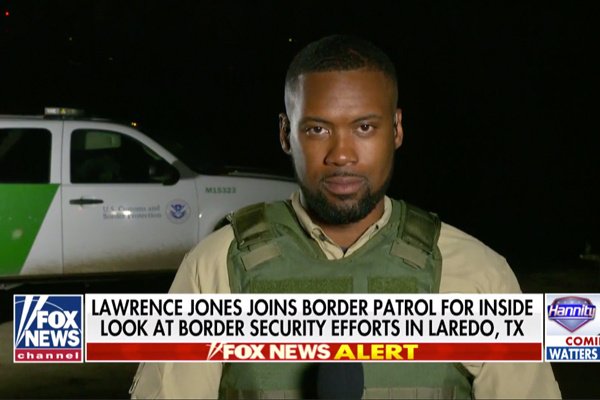 According to Jones, while he was tracking the story in Laredo, Texas, the CBP agents he was working with caught two Chinese nationals. They’re accused of paying drug smugglers up to $20k each to get across the U.S. border. Jones cautioned that border crossers and those helping them are well aware of the crime, and said they’re likely to start shooting if caught. 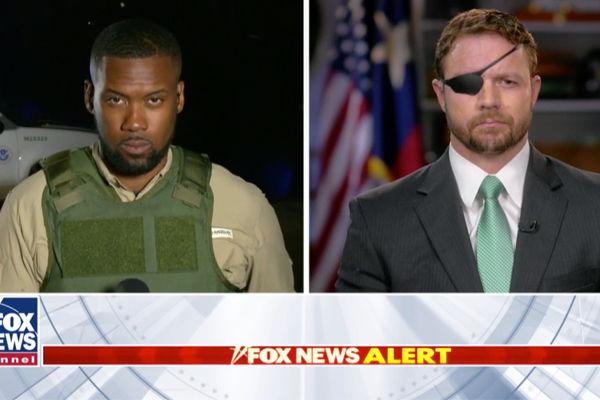 Republican Texas Rep. Dan Crenshaw also joined him for the interview. He said we need to crack down on letting people walk across the border wherever they want and then demand asylum when they get caught. “We should not be accepting asylum in between ports of entry because it’s clearly being taken advantage of,” Crenshaw said. “This is the step we have to take on this,” adding that he supports funding additional detention centers for illegals if it keeps them off the streets. Earlier this week, a Texas congressman issued a dire warning about what’s going on at the border. And while the media on both sides loves to sensationalize the danger (or in CNN’s case, the total lack of a threat), Rep. Will Hurd says it’s about to turn deadly. The Texas Republican oversees a district that runs against 820 miles of U.S. – Mexico border, and he’s predicting another 150,000 encounters at the border this month… along with violence and death. He points to the 100,000 migrants arrested at the southern border in March. But he said that as a result of the onslaught, cartels are waging tremendous criminal activity while border patrol agents are overrun. 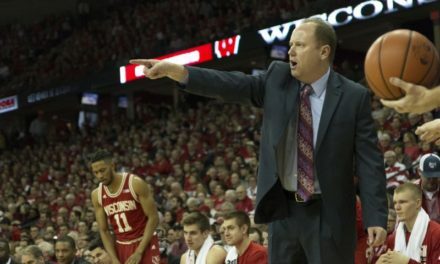 “April’s going to be worse than March. You’re going to see loss of life. 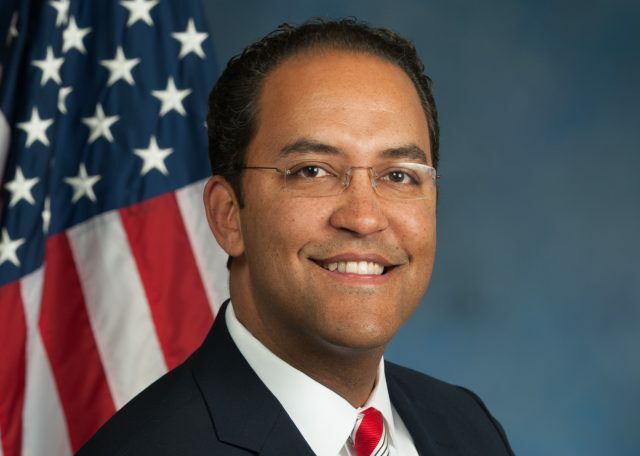 You’re going to see people that are in these conditions either die, or overrun a Border Patrol agent, or you’re going to see massive destruction of property,” Hurd said at a BakerHostetler law firm event in Washington, D.C. on Tuesday. In a later interview with the Washington Examiner, he said his biggest fear is the loss of life of a migrant in Border Patrol custody. Since December, three have died in federal custody, including two children. “And it’s not going to be Border Patrol’s fault,” Hurd said. Hurd, who is in his third term, is a cybersecurity business owner as well as a former CIA officer. His district represents the largest portion of the southern border, stretching from east of Eagle Pass to just outside the El Paso city limits. 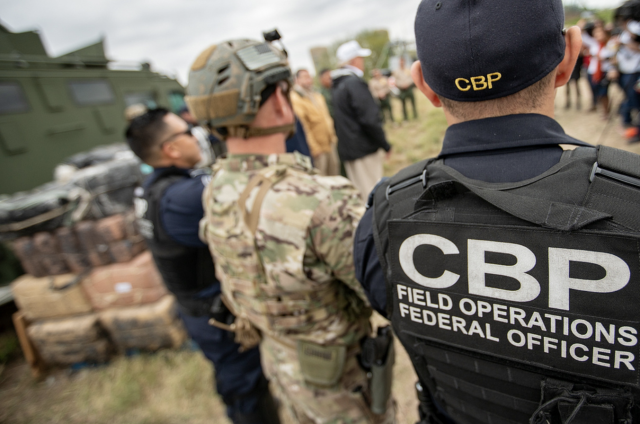 The El Paso Sector of Border Patrol is one of nine regions on the border, and employes more than 2,300 agents and 150 Immigrations and Customs Enforcement personnel. Hurd said well over half of them spend all of their time processing migrants, taking them to doctor’s appointments and other non-law enforcement activities. “These are people that are surrendering in between our ports of entry — at our ports of entry. When you take up [overwhelm] that system, you don’t know what’s coming behind them. I would not be surprised if the drug cartels are taking advantage of this, moving even more product in there,” Hurd said. 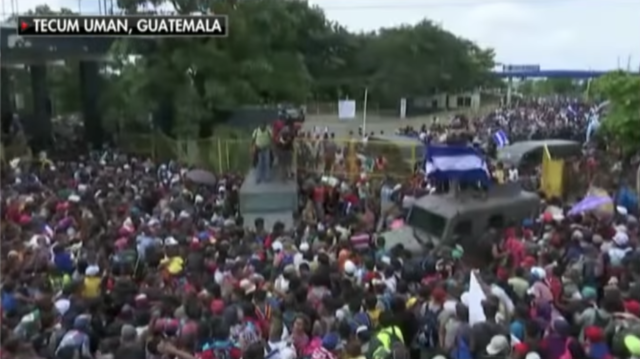 Hurd says it’s for Western Hemisphere countries – not just America – to deal with the root causes that are leading hundreds of thousands of people to flee from Central America. 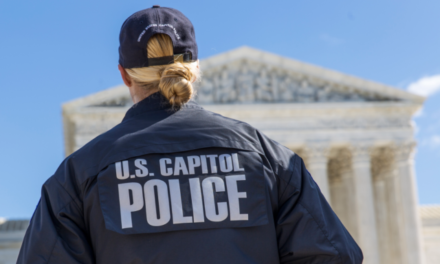 In the short-term, he says Congress needs to approve more money for Department of Homeland Security agencies along with piecemeal legislation. Eighty thousand hours. That’s how much time agents have spent in recent months taking care of hospital and urgent care visits alone for migrants. Hurd says that’s exactly the kind of work that needs to be farmed out so law enforcement officers can be on the actual border dealing with legitimate national security threats instead of dealing with families. He points out that the kind of bill Department of Homeland Security needs was blocked by a vote last year. Read: Convicted Child Molester Captured After Re-Entering U.S.
Who blocked it? Former House Speaker Paul Ryan, a Republican from Wisconsin. On Tuesday, former Obama administration officials publicly agreed with President Trump that there’s a crisis at the border. This as Democrats are downplaying the situation and are adamantly opposed to the President declaring a national emergency. And Barack Obama’s top immigration officials are in agreement. He said the number is staggering. In February, Trump declared a national emergency at the border. It came shortly after Congress wouldn’t give him the more than $5 billion that he wanted for a wall at the border. The declaration frees up $3.6 billion in funding for the wall. But Democrats and even some Republicans opposed the declaration and passed legislation to block the move. President Trump then vetoed their legislation. House Speaker Nancy Pelosi called the declaration “unlawful” and said it was “made over a crisis that does not exist”.
.@realDonaldTrump’s unlawful declaration over a crisis that does not exist does great violence to our Constitution and makes America less safe, stealing from urgently needed defense funds for the security of our military and our nation. Not surprisingly, Adam Schiff agrees with her. “Trump is declaring a national emergency to bypass Congress, to build a wall we don’t need, to address a crisis that doesn’t exist, by claiming an authority he doesn’t have,” House Intelligence Committee Chairman Adam Schiff, D-Calif., said in February. Trump is declaring a national emergency to bypass Congress, to build a wall we don’t need, to address a crisis that doesn’t exist, by claiming an authority he doesn’t have. If that sounds like nonsense, it’s because it is. It’s also plainly unconstitutional. Yet since then, things have gotten worse. And while the administration keeps showing statistics to back their argument, officials on Tuesday described it as a “system-wide meltdown”. Read: Profiles In Courage – Is There A Crisis At Our Southern Border? Customs and Border Protection say more than 76,000 migrants were detained in February. That number, which includes 7,000 unaccompanied children, is the highest number of apprehensions in 12 years. According to CBP data, more than 36,000 migrant families have flooded into the El Paso region in fiscal 2019, which is compared to about 2,000 at the same time last year. Johnson believes there’s a bipartisan solution, but encourages Trump to work WITH Congress, not against it. Last week, President Trump said he would close the border if Mexico doesn’t “immediately stop” the surge. He’s also vowed to cut direct aid to three countries where a flood of immigrants has been coming from – El Salvador, Honduras and Guatemala. 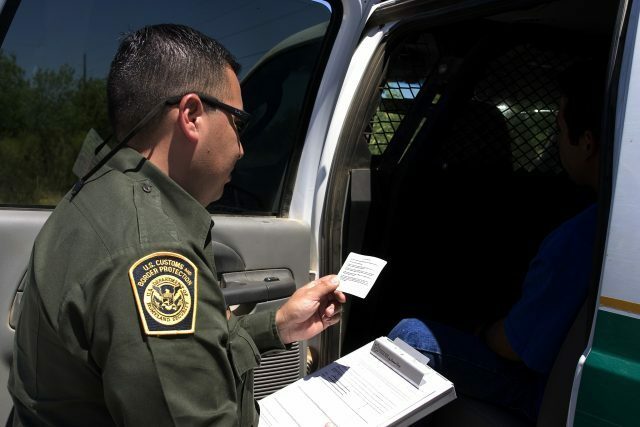 The announcement came after U.S. Customs and Border Protection Commissioner Kevin McAleenan said last week that the border was at its “breaking point,” and that there are not enough agents to respond to the flow of illegal immigrants crossing the U.S.-Mexico border. 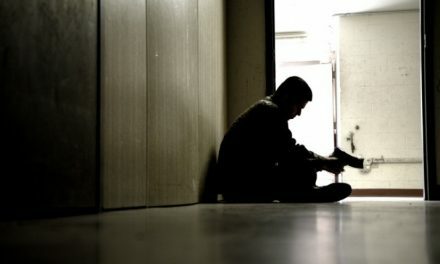 PreviousProfiles In Courage – Former Police Officer Dylan Warter – The Trauma of Police Work.